United Information Technology Co. Ltd.-United Information Technology Co. Ltd.
UIT SV3000G2 unified storage products powered by Intel high-performance storage processor, to provide users with low-cost, high-performance network storage system, Continuity, to achieve the highest performance and lowest operating management costs. 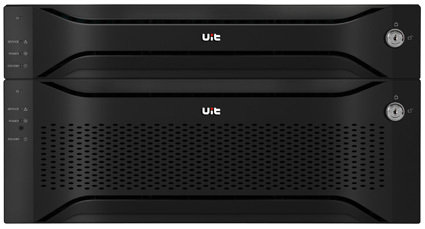 The UIT SV3000G2 unified storage product is powered by Intel's high-performance storage processor, providing users with a low-cost, high-performance network storage system. With innovative technologies such as green energy saving, cache data permanent protection, and guided configuration management, users are fully protected. Business continuity for maximum performance and lowest operational management costs. Based on the unified storage concept, the SV3000G2 series is designed with SBB2.0 architecture to support SAS and near-line SAS disks, and has excellent expansion capabilities. The SV3000G2 series uses the industry-leading Intel high-performance storage processor, PCI-e system bus, 1Gb iSCSI, 10Gb iSCSI, 8Gb FC and other high-speed transmission technologies combined with a 64-bit operating system to fully enhance system processing capabilities. ASST (Active Streaming Stabilize Technology) active data stream stabilization technology smoothes the peak or trough of the transition video data stream, optimizes the data transfer unit between the storage and the host, and provides high-speed and stable transmission performance. OKTT (One Key Turning Technology) one-click fast performance optimization, including a variety of optimization models for different applications, such as workstation applications, file servers, video services, databases, etc., allowing users to easily optimize performance. The SV3000G2 series adopts modular and fully redundant hardware design; cache data permanent protection technology and link redundancy technology to ensure maximum business continuity. The SV3000G2 series supports MAID2.0 (Massive Arrays of Idle Disks) technology, which saves users an average of 30% power, reduces the frequency of disk access, and effectively extends the disk life. 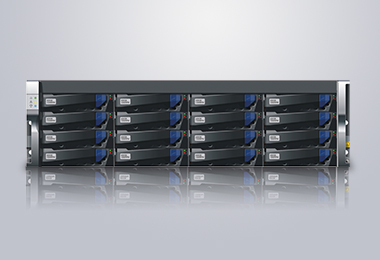 The SV3000G2 series storage system management uses an intuitive web GUI to provide visual storage configuration management. At the same time, the SCM centralized management platform remotely accesses the storage device through the web interface, centrally supervises any SV3000G2 system from the same network, provides centralized fault and alarm management, and effectively reduces system maintenance manpower input and management costs.